It all starts by contacting me and letting me know that you are interested, even if you’re not sure yet, I’m happy to have a no-obligation discussion on the process, products and session planning that go into my portrait experience. Once confirmed, each session begins with a creative consultation for you to share your style and vision for your portraits. This is also where we’ll discuss how you would like to display your images so I will be sure to plan the perfect session for you. This isn’t a final decision, so don’t worry, but I do photograph a session for an album differently than one where the client really wants one large gorgeous piece of wall art. We’ll also choose the location and set the date for your session premiere. My goal is to make your experience stress-free and memorable. 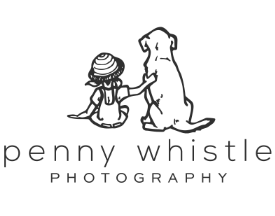 We’ll never rush; your pet will have time to relax before I pick up the camera and your children can burn off as much energy as needed; tell them it will be an adventure where they'll have fun and get presents! I attend to every detail so you can relax and have fun with your family or pet. Your session premiere is held approximately 2 weeks after your session and in the comfort of your own home. I’ll come bearing gifts (I love spoiling my clients!) and we’ll look at all the great images from your session, choose your favorites and finalize your order together. I will then begin production on your files, personally retouching each and every image by hand, creating one-of-a-kind pieces of art that you will be proud to hang in your home or display in a keepsake album. I am delighted to offer a variety of unique products in my shop that you and your family will cherish for years. When your order arrives, I will personally deliver to your home and if requested, assist with installation (clusters can be particularly tricky to hang properly the first time, so let me take that headache away for you!). Learn more about session pricing by clicking on the images below. Fees for commercial work and image usage are priced upon request and based on your specific project needs and budget.